Every year, the Raiffeisen Ladies Walk, within the framework Kärnten Läuft, offers more than 1000-women great atmosphere and emotional experiences. The sporting ambition is only secondary. What is more important is the shared and motivating experiences. 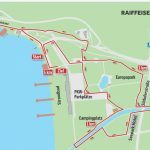 Enclosed, you will find all the information regarding the race and the route for the Raiffeisen Nordic Ladies Walk. You will also find the sign up in the right column. The Raiffeisen Nordic Ladies Walk is now marked as a “health run”. For such “health competitions/runs” there will be a timekeeping, but no ranking. Instead of an award ceremony, prizes will be awarded to the participants of these competitions in form of a raffle.